Amid a worldwide Depression and widespread German disillusionment, the Nazi Party wins 33% of the Parliamentary vote. Hitler is appointed Chancellor. First 100 days in office: Burning of the Reichstag (German Parliament), martial law, first concentration camp (Dachau), boycott of Jewish business, expulsion of Jews from civil service, burning of books. In September1935, a series of new laws eliminates the civil and political rights of Jews and strips them of their German citizenship. Marriage between Jews and Aryans (non-Jews) is prohibited and Jews cannot fly the German flag. Hitler uses the 1936 Berlin Olympics as a propaganda tool to build international legitimacy for the Nazi regime. Antisemitic signs are temporarily removed and racial violence is toned down during the games, but Jewish athletes are still banned from German teams. Jesse Owens, an African American, wins four gold medals. Germany invades and annexes Austria in March 1938. In September, the leaders of England and France agree to appease Hitler and allow him to control an area of Czechoslovakia known as the Sudetenland. 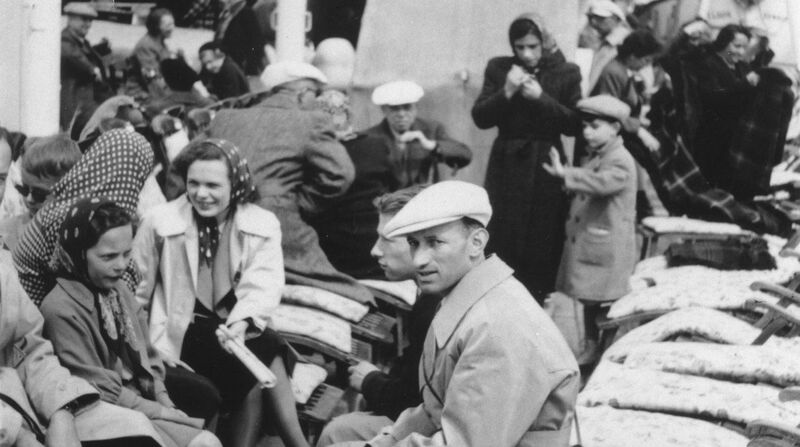 In October, Jews of Polish origin are expelled from Germany. 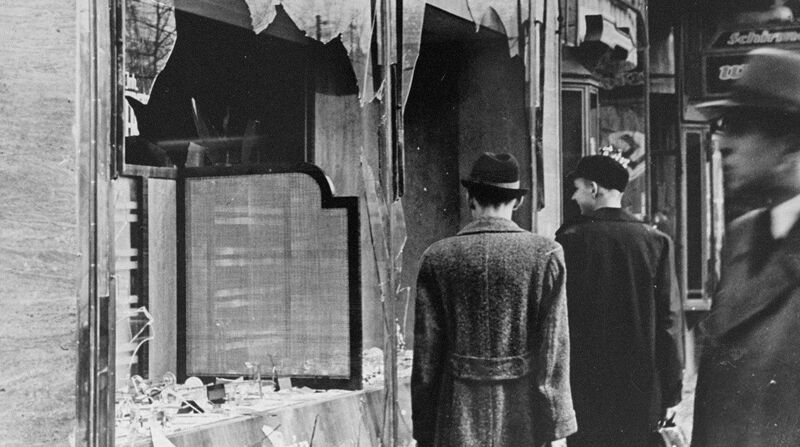 On Novermber 9, 1938, a Nazi-initiated pogrom (anti-Jewish riot) erupts across Germany and Austria. More than 1,000 synagogues are burned, 7,000 Jewish businesses looted, and 30,000 Jewish men sent to concentration camps. 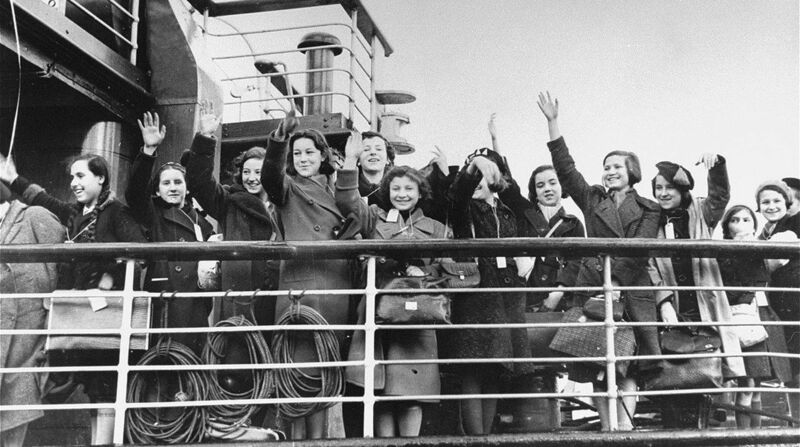 Under pressure from the Jewish community and humanitarian groups, Great Britain agrees to accept 10,000 Jewish children for resettlement in England. The US refuses to consider a bill to accept 20,000 Jewish children. The MS St. Louis sails from Hamburg to Cuba in May 1939, but its 936 passengers are unable to land because their Cuban visas have been cancelled. Despite desperate pleas to Cuba, the US, and other countries, the ship is forced to return to Europe. By war’s end, more than one-quarter of the passengers would be killed by the Nazis. Germany invades Poland on September 1, 1939. Britain and France declare war as World War II begins. Poland falls within a month and the Germans introduce harsh occupation policies, murdering many political and religious Polish leaders and incarcerating many more. Polish Jews are forced into ghettos. The Soviet Union invades Eastern Poland on September 17. In October 1939, the murder of handicapped German non-Jews begins. They are the first Nazi victims to be gassed to death in six specialized killing centers.